media.ccc.de - Playlist for "Pitfalls for performance: Typical latencies to keep in mind"
Playlist "Pitfalls for performance: Typical latencies to keep in mind"
of modern computer architectures quickly reveals this to be a fallacy. as well as scientific simulations. 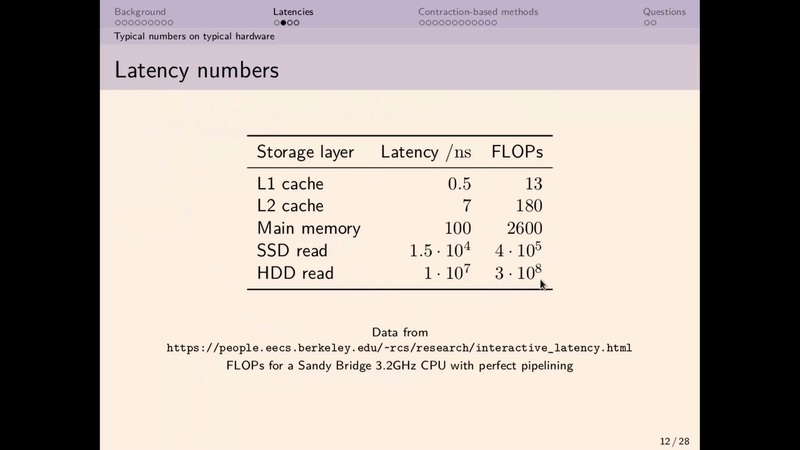 typical latencies required for operating on the storage medium. floating point operations per load from main memory. which avoid access to main memory. and some formulae, so beware!